Document Notes: A discussion of revoking naturalized citizenship. The first sentence makes a point that is missed by virtually all redress supporters and that is that citizens may mot be interned, i.e. locked up for the duration. 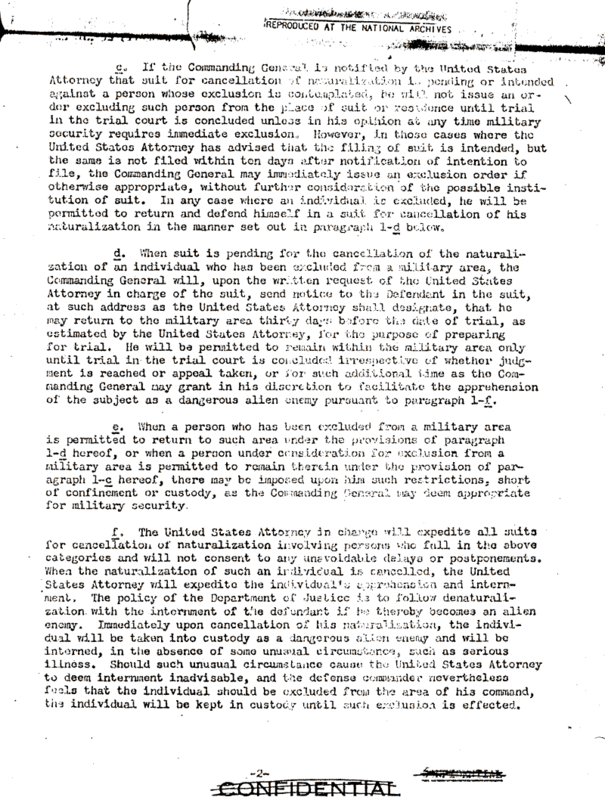 Japanese citizens by virtue of their classification as enemy aliens under U.S. law are subject to such internment. In the event relatively few were interned.